Fall in New England is the best! Smuttynose is whooping it up in celebration on October 10. 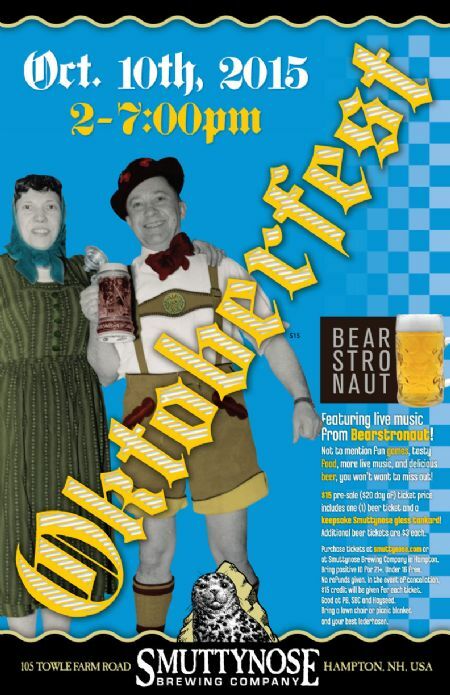 Break out your lederhosen, or at least your fleeces and sweaters, Smuttynose is celebrating fall! We've brewed a single batch Oktoberfest lager to fuel the festivities. Bearstronaut, from just down the road in Boston will be headlining the show while field games, food trucks a photo booth and other mirth will spread itself around the farm. Tickets are $15 in advance and $20 at the door. Each ticket include entry to the festival, your first beer and a 500ml glass mug to take home.